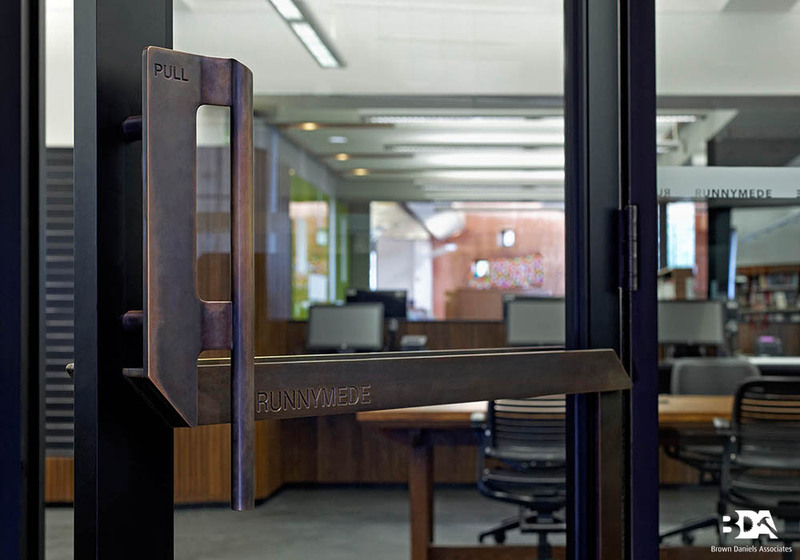 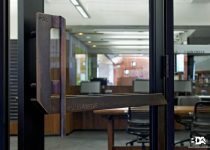 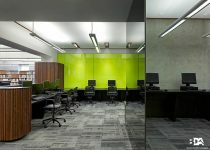 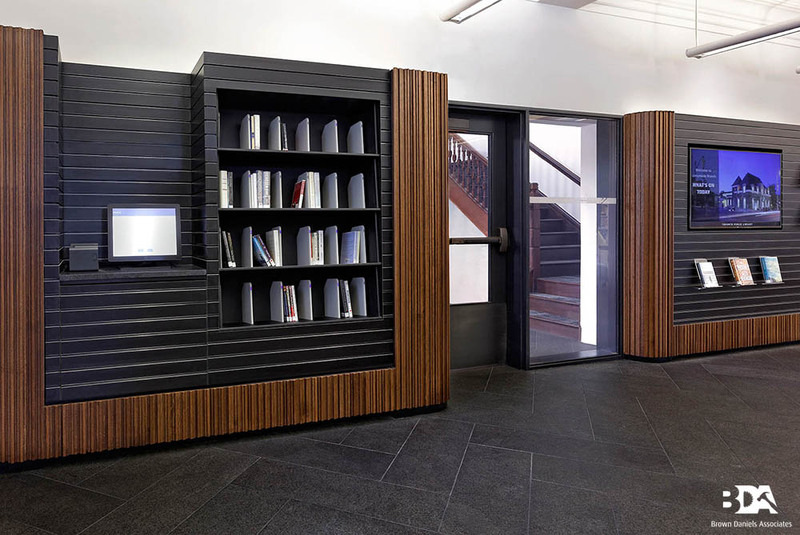 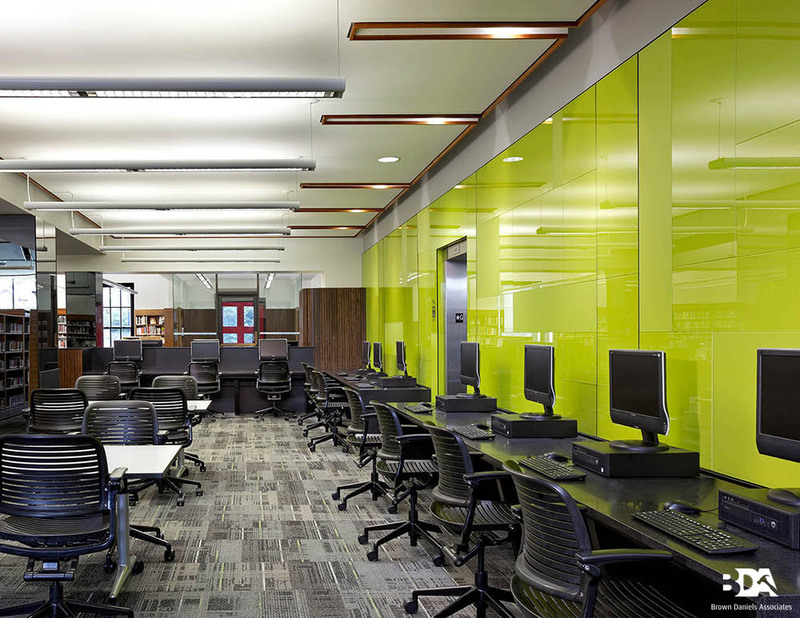 Runnymede Library Interior Renovation : BDA Inc. 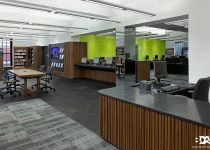 The Runnymede library, a 1909 heritage building in the west end of Toronto underwent a renovation to modernize the building and make it both accessible and efficient for everyone’s usage. This library is multi-leveled and required the replacement of flooring to improve accessibility. 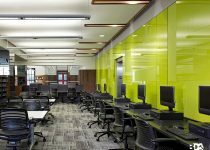 Millwork was replaced and painting was refreshed in order to modernize the space. 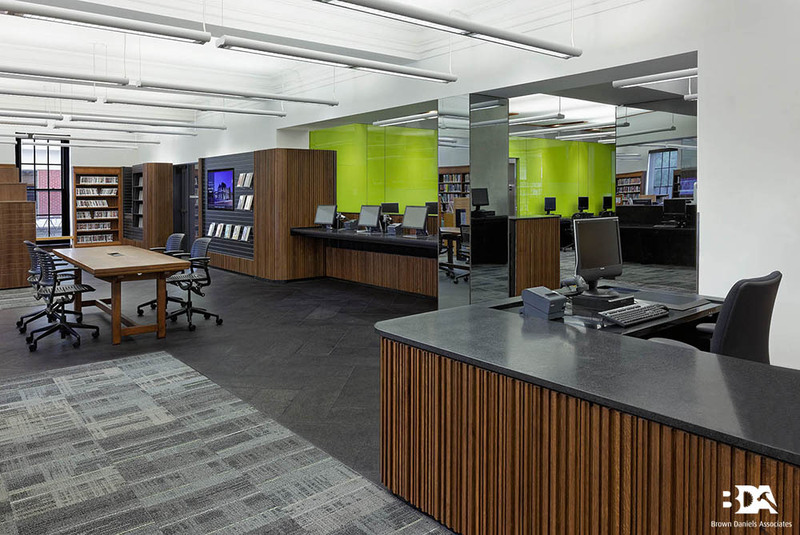 The BDA team worked collaboratively with the Toronto Public Library representatives to achieve optimal results, which helped preserve the historical characteristics of the library. 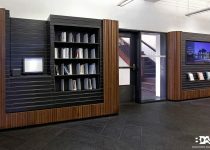 Architect: Building Arts Architects Inc.